Spring testing is right around the corner. 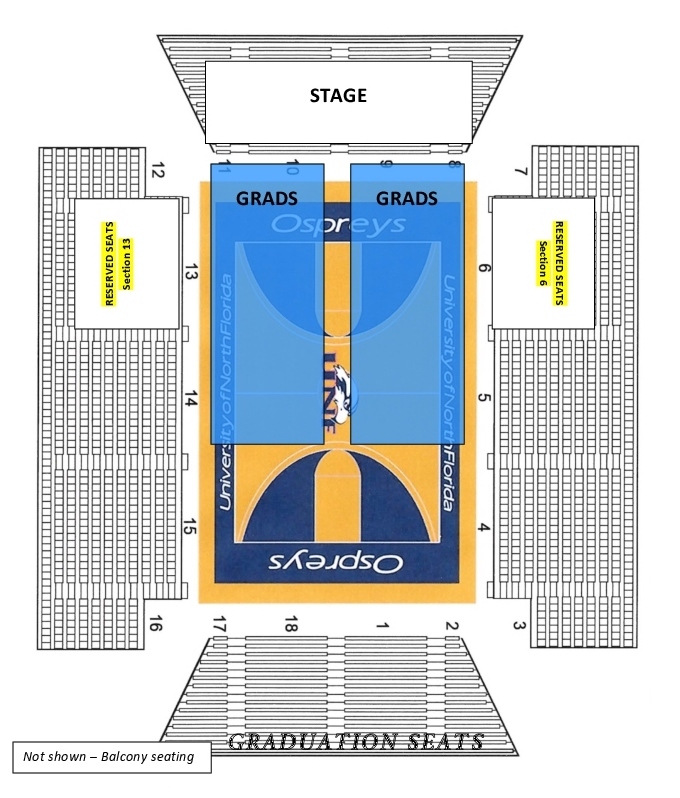 We are in need of proctors to help make everything go smoothly and would appreciate your help. Please click the LINK below to view the opportunities available. 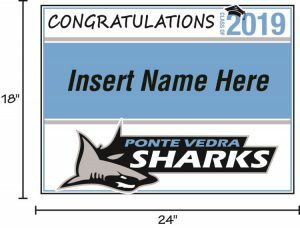 Contact Marisa Leonard, PVHS testing coordinator, with any questions. 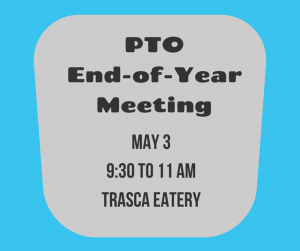 Join us at Trasca Eatery, May 3, from 9:30 to 11 a.m., for our last PTO general meeting of the year. During a brief business meeting, you’ll be able to vote on the 2019-2020 Executive Board and Executive Committee, next year’s budget, and one bylaw amendment. Please see below for more information about the meeting proposals. Afterward, Heather Quick, owner of Florida Women’s Law Group, will offer a program, “The Legal Side of 18.” Whether your child is turning 15 or 18, this program promises to give you the information you need to help transition your young adult. A parent’s worst nightmare is getting that phone call in the middle of the night that your child has been in a serious accident. If they are away at school, you can only call the hospital to find out what is going on and the nurse tells you that she cannot disclose any information due to HIPPA regulations because your child is legally an adult. The harsh reality is, this will happen to you if the proper documentation is not in place. The authority to communicate on your adult child’s behalf will help make a terrifying situation a little less stressful. Heather Quick will lead this informative discussion regarding the necessity of certain legal documents you need to access medical records, attendance records and transcripts once your child turns 18. Stay connected to your college student and put your mind at ease before your child starts this new chapter in his/her life. To approve and submit to the PTO for approval a budget for the fiscal year, which shall be prepared by the executive committee. This budget shall be submitted to the general membership of the PTO for approval at the first general PTO meeting of the fiscal year. To approve and submit to the PTO for approval a budget for the following fiscal year, which shall be prepared by the Executive Board. This budget shall be submitted to the general membership of the PTO for approval no later than May of the current fiscal year. The Executive Board may amend an approved budget during the current fiscal year. From “executive committee” to “Executive Board”- correct typo as indicated by the title of Section 2. The purpose of changing the timing of the budget is to reflect current practices at 501c(3) organizations. Organizations approve budgets prior to the next fiscal year to ensure continuous function of the organization. Additionally, the budget may need adjusted in the current fiscal year due to revenue and expense changes. 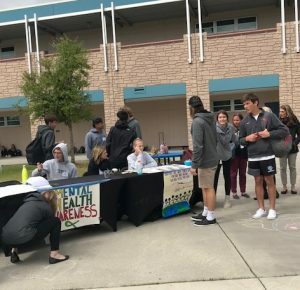 The PTO was pleased to sponsor the annual Wellness Fair on March 27, where students were offered information about health and wellness with various community representatives. This year’s Nomination Committee members are Krissy Gailfoil, Kathleen Johnson, Kalisa King, Elizabeth Paul Magnano, Devon Witt and the Chair, Noelle Franco. If you are interested in any of the positions listed below or would like to nominate someone, please contact Noelle Franco at [email protected]. The 2019-2020 Executive Board openings include the vice president of membership and the director of communications. 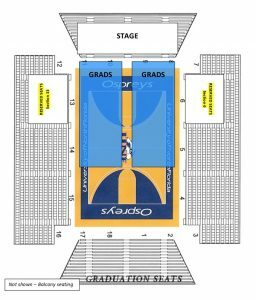 Chairs reporting to vice president, community involvement: business partnerships, graduation seats, graduation signs, Ladies’ Night Out, volunteers. Chairs reporting to vice president, programs: Wellness Fair, College Fair, academic programs, Helping Hands, mental health, parent programs, staff appreciation. 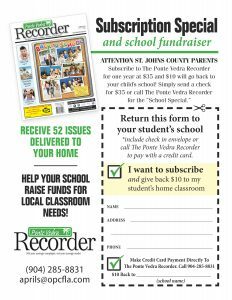 The Ponte Vedra Recorder is offering to contribute $10 of your one-year subscription to the PVHS PTO. You can get all the news of the community and make a contribution that will go directly back to the school. Download the FLYER and sign up for your subscription today! 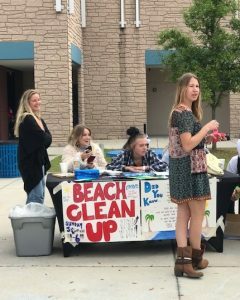 No matter your talents, skills, passion or schedule, many volunteer opportunities at Ponte Veda High School are available. All volunteers working at school must complete the application form. For questions, contact [email protected]. An updated listing and more information is coming soon. If you have an interest in our business partnerships, please contact [email protected].